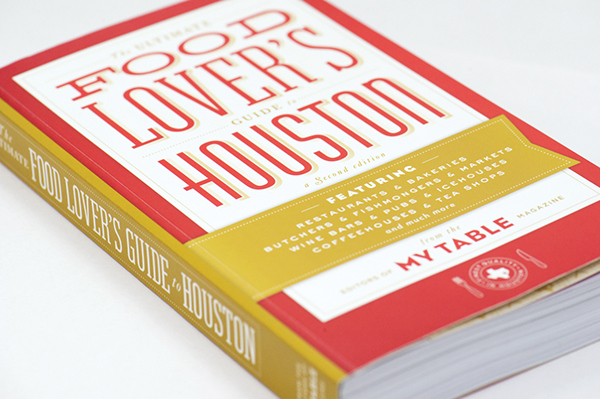 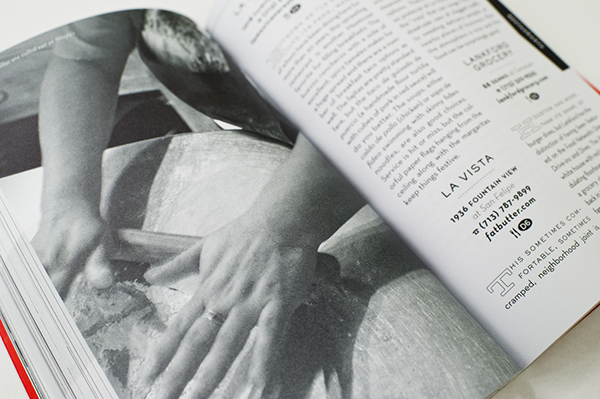 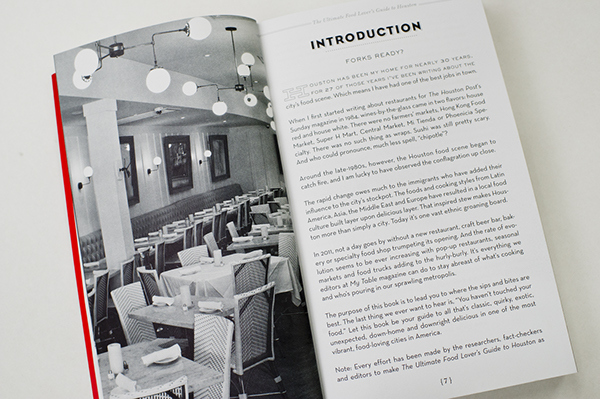 For the second edition of The Ultimate Food Lover’s Guide to Houston, we worked with publisher My Table to create a new, comprehensive book design. 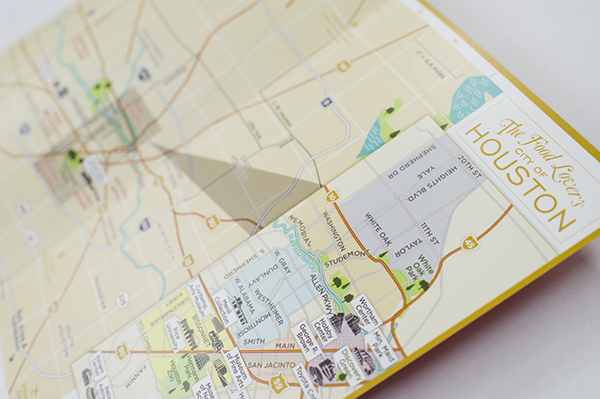 From the cover, interior pages, photography, to an updated detailed map – we sought to develop a presentation which celebrated both the rich food & dining culture in Houston, as well as a compliment to the illustrative content. 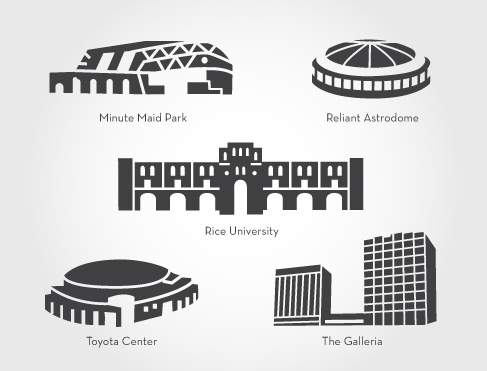 Locations were visited for select photography and icons of tourist destinations/significant institutions were drawn. 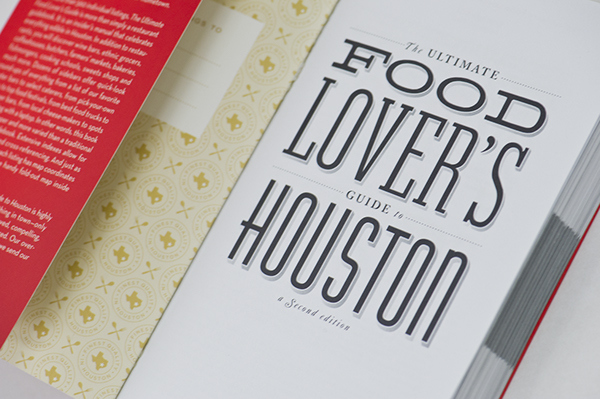 Cover, interior book design, map, and photography for My Table Magazine's The Ultimate Food Lover's Guide to Houston, a second edition.